Windwood Farm has a terrible secret - one that's been buried for nearly 100 years. Taryn Magill aims to uncover it - or die trying. As a mixed-media artist and urban explorer with a love for abandoned houses and a big imagination when it comes to the past, 30-year-old Taryn has never really met an old house she didn't like. In fact, she's made a career out of painting these sad, often derelict structures, to show her clients their former glory. The locals refer to it as "the devil's house" and even vandals have stayed away from this once grand stone farmhouse in Vidalia, Kentucky. Hired by the Stokes County Historical Society to paint a landscape of it before it's demolished by a land development company, Taryn's determined to make friends with the house everyone around her seems to be terrified of. Who is the woman whose cries echo throughout the farm and what does she want? What negative force is so powerful that it won't even allow the upstairs bedroom to be touched? Does the 93 year old vanishing of the next door neighbor have anything to do with the house's mysteries? Taryn wants the answers to these and the house may just be trying to tell her because now, when she looks through her camera, she doesn't have to use her imagination to see the past. Will Taryn be able to figure out what happened and escape with her sanity and life before the house comes down? Because now it seems like someone is trying to kill her! Using what her camera reveals to her and her wits, she'll try to unravel the mysteries of the farm and get out before it's too late. Narcissist: How to Beat the Narcissist! Good story and nicely narrated! My first audio book. Thoroughly enjoyed it. I had read the book already, but "hearing" it was a totally different experience. I've been following the Taryn's Camera series and looked forward to more. I've enjoyed all books by this author as well! Writer has some trouble with double negatives and sentence structure which hang up the flow. Narration has some repeats and narrator sometimes runs over the punctuation, which can cause confusion. Narrator does a good job on dialog and overall, a fun listen. Loved this book! ready to read book 2! Thanks Becca for an intriguing and wonderful story with a lot of twists and turns. you are truly the artist ! This is a very good book-all of Rebecca Patrick Howards' books are excellent -highly recommend! I think this would have been a better read book than listened to book. The story was good, a little predictable, a few places were eye roll worthy. The performance started out very stiff and was apparently a first time. The reading was stiff and forced and quick. It got much better a couple chapters in and was decent by the end. Not as "ghostly" as I had hoped. Not as "ghostly" as I'd hoped. Not sure if I'll read the othwrs in the series. The worst narration, story and performance ever!!! This story had no direction. I had to quit listening after four hours of listening to a narrator with no inflection or stops between sentences. A new story, new narrator would be the only help for this book. Who would you have cast as narrator instead of Lesley Ann Fogle? I though that I had it solved before the end of the story. I was wrong, that's not what happened. I enjoyed this story and thought it was ideally suited to audio. The premise is simple and it is executed in a straightforward way. Taryn draws historic houses that are about to be demolished and is commissioned by the historical association. 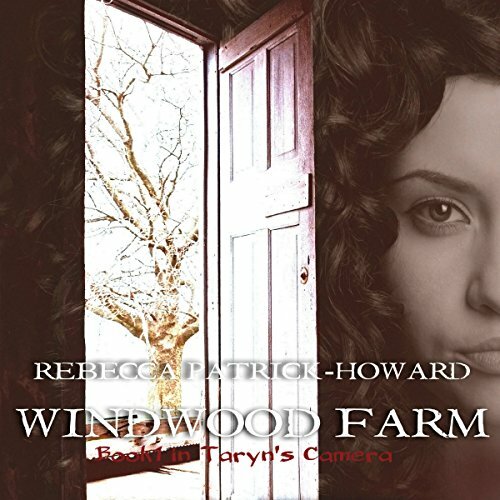 She finds herself intrigued by the history of Windwood Farm and tries to find out the fate of the past residents. It isn't a fast-paced novel, but more of a sedate spooky story. Most of the prose is third person storytelling. I don't mind this style as I read a lot of non-fiction, but others may find the telling rather than showing old fashioned. Another thing about the style - I felt there were rather too many qualifiers sometimes when dialogue was used, for example- she paused, she laughed, she indicated, she echoed etc. What does Lesley Ann Fogle bring to the story that you wouldn’t experience if you had only read the book? The narration was clear and really helped develop the character of Taryn. It took me a while to get used to the American accent and the male voices were a bit high pitched but overall however the narrator did a good job. However I found the reading pace too fast. I tried to slow it down using the audio app but it just echoed too much. I felt I missed lots of details because of the fast narration. There were also a couple of blips when lines were repeated at around the 2 hours remaining time point, but this was a minor error that didn't affect my enjoyment. I think the story would be especially suited to young readers as the plot is simple and linear and there aren't too many characters to keep track of. I felt the main character Taryn, was believable and we learn a lot about her through internal reflection and thoughts which the author includes. However I think it would have been a more dynamic novel if there were less scenes where Taryn was the only character present because the other characters were not well developed.I received a free copy of this in exchange for an honest review. Have listened to this book for an hour and can listen no more, what a dreary, miserable voice, too boring for words.